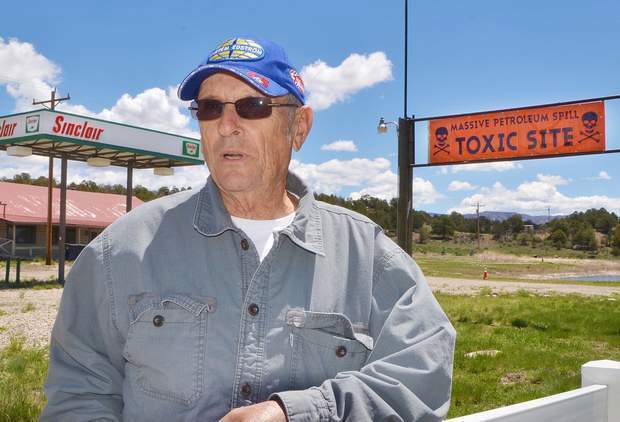 Ray McCarty, owner of the former Wild Wild Rest site on U.S. 160 between Mancos and Cortez, said scores of 5-gallon buckets of contaminated liquid were removed from a well on the property in June. 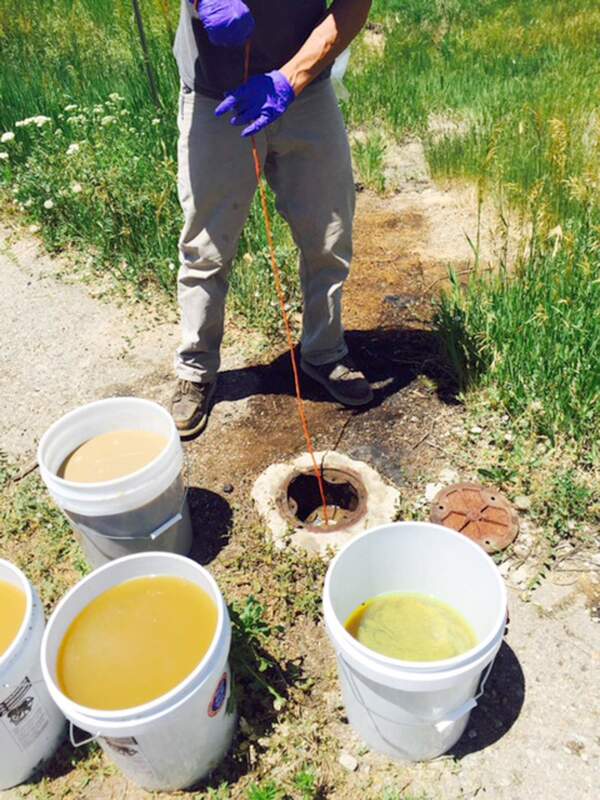 Some 150 gallons of contaminated water were reportedly purged from a well at the Wild Wild Rest toxic spill site west of Mancos in June. A Colorado petroleum remediation official has confirmed that a former gas station site near Mancos poses no immediate health concerns. On Dec. 30, The Journal emailed the Montezuma County Public Health Department, asking if the Wild Wild Rest site on U.S. 160 posed health concerns. The query was initiated in response to a Colorado Division of Oil and Public Safety letter dated Dec. 14, which advised that corrective action be taken in regard to three monitoring wells at the “Toxic Spill” site on U.S. 160 between Mesa Verde National Park and Mancos. The Journal’s query was forwarded to the Colorado Department of Health and Public and to the Colorado Department of Labor and Employment’s Division of Oil and Public Safety. A state official responded Wednesday, Jan. 13. “There are no immediate health concerns associated with our ongoing assessment,” said Division of Oil and Public Safety petroleum remediation supervisor Erik Gessert. Monitoring the Wild Wild Rest property since 2006, Gessert said the purpose of his agency was to protect the public and environment. Gessert also responded to another query, initially sent to county health officials, regarding safeguards to protect the public’s health. “As there are no immediate health concerns, our environmental safeguarding to date has involved the continued monitoring of select groundwater monitoring locations,” Gessert replied. Last year, a geological firm determined that one of the monitoring wells on the site contained a lemon-orange liquid, which was suspected diesel or fuel oil. The unexpected findings were included in a 114-page Environmental Protection Agency site assessment report dated Feb. 15. According to property owner Ray McCarty, scores of 5-gallon buckets of contaminated liquid were removed from a well in June. “They purged about 150 gallons from the well,” he said. Last fall, a Denver-based environmental consulting firm determined that no petrochemical compounds were detected from sampled monitoring wells. Based on both physical evidence and analytical data, the firm concluded that “tampering” was “the most logical explanation” for the lemon-orange substance found on site. In response to those findings, McCarty said he didn’t have any “finger-pointing evidence” to verify that tampering occurred. A 6,000-gallon gasoline spill was reported at the Wild Wild Rest station, used as a fuel station for about 50 years, after the removal of three storage tanks in 2006. The gas station closed in 2004. After the petrochemical spill, McCarty erected a billboard that read, “Massive Petroleum Spill – Toxic Site” and signs with skull-and-crossbone icons and “This Toxic Mess Brought To You By State of Colorado.” The signs remain on the property. In 2010, McCarty filed a lawsuit, claiming the groundwater was contaminated as a result of the spill, alleging that drilling, excavating and core sampling created a discharge of benzene, water of abnormal salinity and hydrocarbon fuel derivative. A jury awarded him $1 in damages. Also in 2010, state officials devised a corrective action plan to clean the site. Mitigation would include removal of contaminated soil, re-contouring the property and installing monitoring stations at an estimated cost to the state of $200,000. The effort stalled after McCarty reportedly refused to provide access to his property. McCarty, however, rejected the claim. Last month, The Journal also emailed Montezuma County commissioners asking them to reply to the Division of Oil and Public Safety letter from Dec. 14. Commissioners didn’t respond. The 24-acre Wild Wild Rest site had multiple above-ground storage tanks, including two 3,000-gallon gasoline tanks, a 3,000-gallon diesel tank and two 1,000-gallon liquid petroleum gasoline tanks. In addition to a gas station and convenience store, the site also featured an RV park, rodeo arena and motocross racetrack.